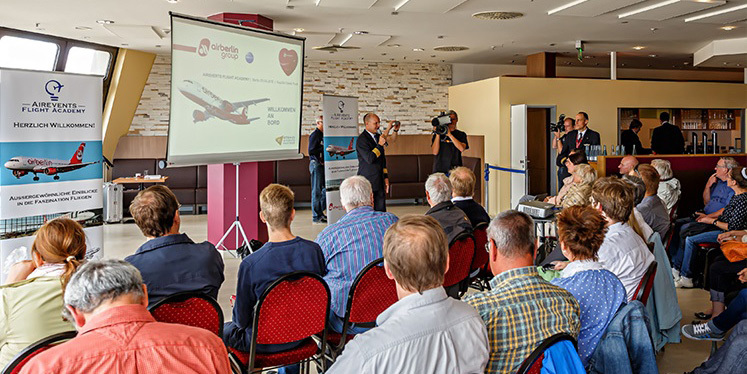 Please note: The Flight Academy is presented and described in German only as – for organizational reasons – it is targeted only at German-speaking customers only. When will the nex Flight Academy take place? In 2017, unfortunately, our longtime partner airline Air Berlin has ceased operations, forcing us to temporarily stop the Flight Academy. However, we are proud to announce that we have already found a new flight Partner, Germania, for short- and medium-haul trips, and possibly also for the Flight Academy.